Nothing Like Everything All Tags Android Review The N-Gage App Is A Revelation! When I had first heard of the app I was admittedly skeptical and reluctant to download yet another IM app. But boy was I wrong! Let me start with the registration process, which was as simple as they come. My number was quickly verified through a code sent by SMS and even though the app was slow it wasn’t long before the process was complete. Once everything was set-up, I set out to explore the app and its features – which are mind bogglingly varied. Unfortunately, the app suspended and had to be restarted several times before I could experiment with it by which point I must admit I was starting to get a bit exasperated. The maze of functions that need to be understood before getting even marginal use of the app is annoying at times, that being said it has much to offer. After it got going, I had a ball with it. The app is funky and fun to use and even though I experienced the occasional connectivity hurdle the features are dynamic. There is much that can be improved with the app but the app’s relevance and usefulness is clear. 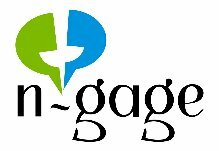 N-gage has created a unique and clever app that improves the lives of its users. It’s such a genius idea that it seems incredible that it hadn’t been developed earlier. The makers of this app have successfully integrated features that allowed me to chat and make video calls with any other messaging app on my friend’s phone. Now this is a true innovation. Though the clarity of audio and video is not great and is a painful task to get connected. Hoping that the developers look into this. · I love the cross-platform functionality. · There are photo and doodle features that are great and easy to use across platforms. 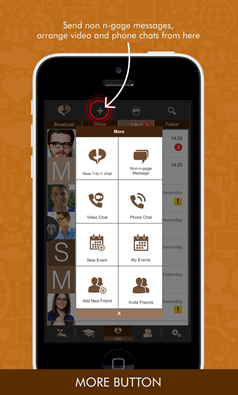 · The “schedule” feature works wonderfully for arranging business meetings. 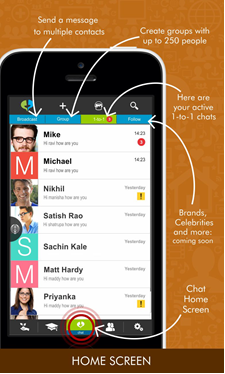 · The ping feature is easy to use with just two touches on the chat screen. · The “news” tab clutters the app unnecessarily. · The app is painfully slow, frequently hangs and needs to be restarted. · The interface is cluttered and especially in the beginning, it can get quite confusing and unnecessarily complex.